CHAMPION is going to exhibit in HOFEX 2019 from 7-10th May 2019 with booth number 1E-500 in HKCEC. Latest commercial dishwasher models will be displayed throughout the exhibition. Meanwhile, we are honor that we become the only one dishwasher sponsor. The theme of HOFEX 2019 is “MEET with Champion”. We are proud to present the latest “Dual Benefit “energy-saving and efficiency – AS-F(MG) Mini Flight Type Dishwasher with heat recovery system, this model is suitable for some high traffic restaurants e.g. Chinese restaurant, food court and hotel banqueting. 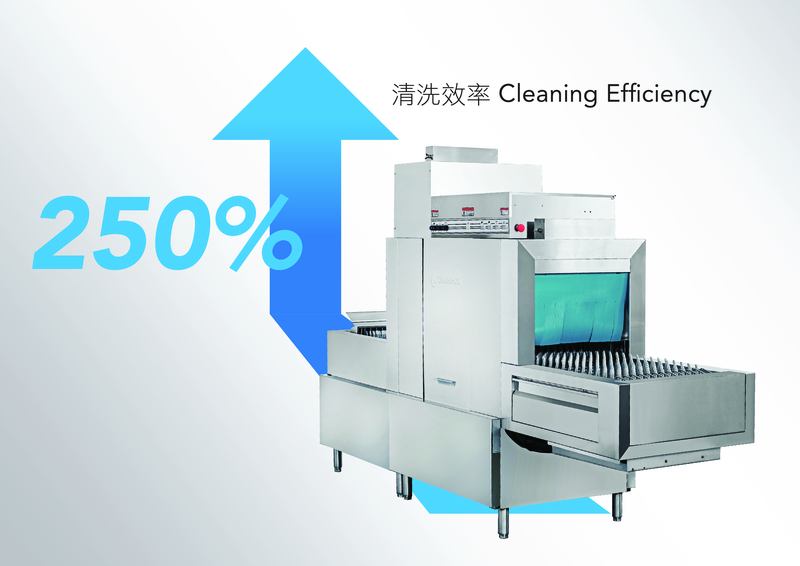 We also showcase our flagship energy-saving dishwasher, offer automation and energy-saving cleaning solutions for catering industry. And also 2019 is our company 25th anniversary, and will share with you every bit of CHAMPION in the past 25 years. To cope with the labour shortage and rapidly increasing operational costs, we have demonstrated the latest energy-saving and efficiency dishwasher – AS-F(MG) Mini Flight Type Dishwasher with Heat Recovery System. AS-F(MG) equipped with the patent heat recovery system, it can recover the steam to preheat the water and achieve a saving over 48 percent of energy consumption compared with conveyor type dishwasher. And its unique feature – it can offer a cleaning efficiency that is 250 per cent better than conveyor type dishwashers. For example, using a conveyor type dishwasher, it would take about three hours to clean around 10,000 utensils. With a mini flight-type, only one hour would be needed. As a result, productivity is enhanced, and labour costs are cut. If you want to experience AS-F(MG) dual benefit on energy saving and efficiency, come to visit us. The only patented and awarded dishwashing machine in Hong Kong – Patent (Technical Patent No. 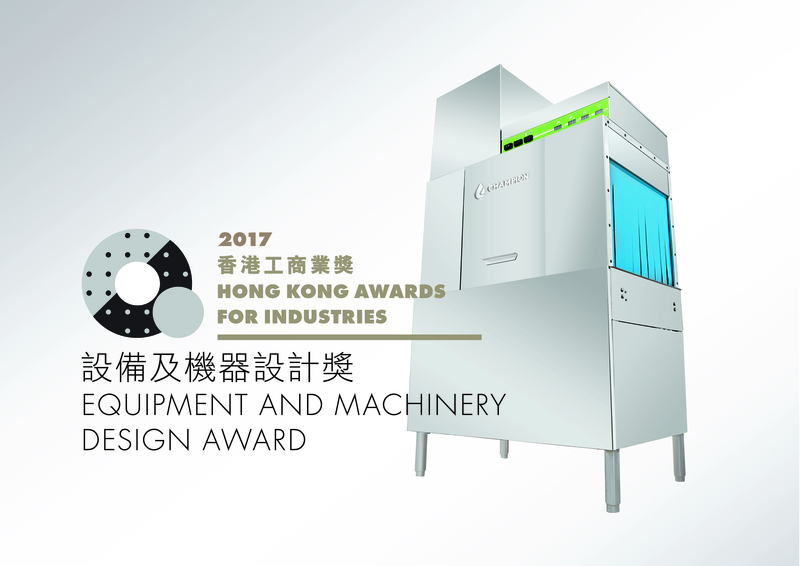 HK1214910) and Award (Hong Kong Awards For Industries – Equipment and Machinery Design Award) will also be display. 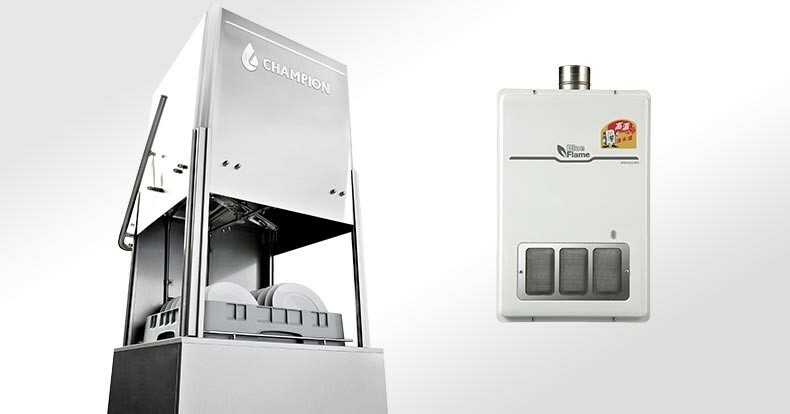 The patented heat recovery system can recover the steam to preheat the water, achieving up to 48% energy saving with this unique system, it can improve working environment. AS-44B (G) Single Tank Conveyor Type Dishwasher with heat recovery system is also available on site. CHAMPION is honorable to continue to cooperate with Hong Kong and China Gas Co., Ltd. to promote the effectiveness and benefits of the gas dishwasher. TOWNGAS gas heater, which can provide instant 85 degree hot water and in a stable manner, makes AS-3 can use immediately without preheating preparation. And its dual stainless-steel door design, can capable of reducing the surface temperature and enhance internal insulation capacity, and in order to improve working environment and work safety. And we have also update the machine capacity, improve cleaning efficiency. And we also showcase some environmental-friendly products – UDR and PRO-DIGEST and Foam cleaner. For more enquires, please email to us enquiry_hk@champion-chem.com, or you can pre- registration on Visitor Pre-Registration HOFEX 2019 .